GILLES IVAIN makes a call for a new architecture. We are bored in the city, to still discover mysteries on the signs along the street, latest state of humor and poetry, requires getting damned tired…. We will not prolong mechanical civilizations and the architecture froide that ultimately lead to boring forms of leisure. We propose to invent new, changeable decors…. This new vision of time and space that will be the theoretical basis of future constructions, is not in the right state and will never wholly be so before testing comportments in cities set aside for this effect, cities in which will be systematically assembled—in addition to the organizations necessary for a minimum of comfort and security—buildings charged with a great power of evocation and influence, symbolic edifices representing desires, forces, events past, present, and to come…. In a way everyone will live in his own personal “cathedral.” There will be rooms more conducive to dreams than drugs, and houses where one cannot help but love…. The quarters of this city could correspond to the catalog of diverse feelings that are encountered by chance in daily life…. The principal activity of the inhabitants will be CONTINUOUS DÉRIVE. The changing of landscape from one hour to the next will result in complete disorientation. 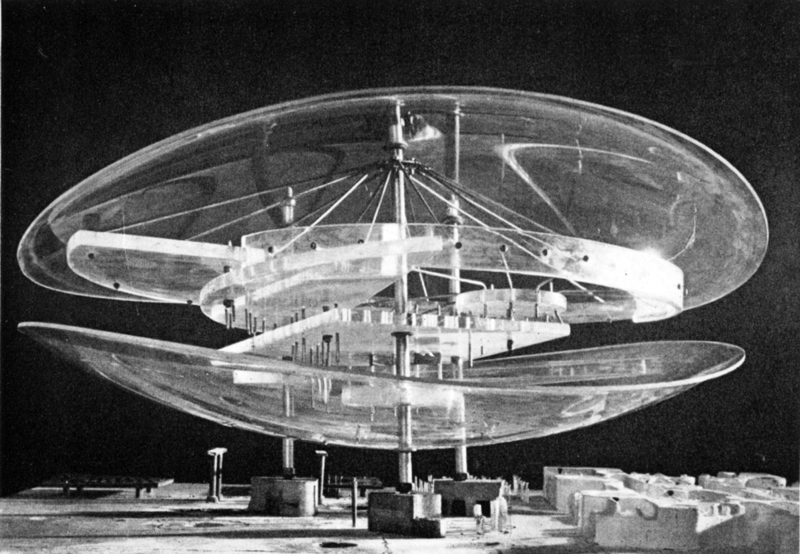 This first experimental city would live largely off a tolerated and controlled tourism. Future avant-garde activities and productions would gravitate there of their own accord. In a few years it would become the intellectual capital of the world, and would be universally recognized as such. FORMULARY FOR A NEW URBANISM. GILLES IVAIN (PSEUDO. IVAN CHTCHEGLOV) From Situationists and the city. pp 32-41. This entry was posted in Psychogeography and tagged architecture, dérive, psychogeography, the city, walking on 4 Jun 2017 by morgan. Redesign the city. 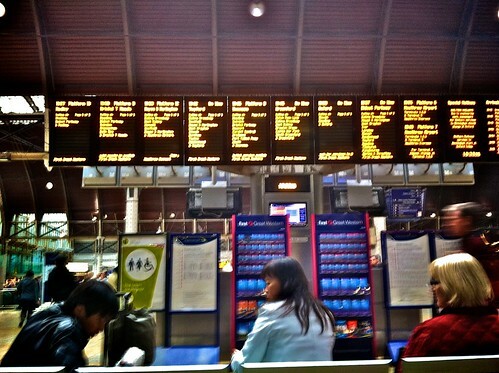 But keep the rail stations as they are. – Keep the railroad stations as they are. Their rather moving ugliness adds to the atmosphere of travel, which provides what slight attraction these buildings possess. – Gil J. Wolman demanded the complete suppression or falsification of all information about departures (destinations, times, etc.). This would encourage dérive. After a lively debate, the opposition that had been expressed gave up its argument and the project was accepted without reservation. – Heighten the acoustic environment of train stations by broadcasting recordings from a large number of different stations—and certain ports. From PLAN FOR RATIONAL IMPROVEMENTS T O THE CITY OF PARIS 4. Situationists and the city, 70. Adapted to bullet list. This entry was posted in Psychogeography and tagged dérive, psychogeography, urban planning on 4 Jun 2017 by morgan. This entry was posted in Pinboard Bookmarks and tagged modernism, psychogeography, situationalism on 28 Jan 2017 by morgan.